We are passionate about delivering the highest quality prints and services to our PhotoReflect members. Choose from several mounting options to enhance your prints with fine quality mounting. Not Inkjet. Our gallery canvas wraps are pressed from traditional photographic prints for a full, rich color that lasts. 1.5" thick mounted foam with black core creates a beautiful ready to hang print with no frame required. 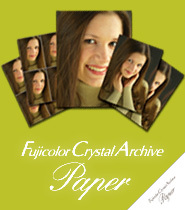 The PhotoReflect Lab offers professional archival paper engineered to last generations. Using a unique chemical process rather than inks or dyes, we create a truly "archival" product that contributes to the vibrancy and accuracy of the colors as well as the longevity of your photos. Our technicians have years of printing experience and color matching that is unsurpassed in the industry. Choose from more than 25 print sizes on either Luster or Metallic surface. There are no inkjet Canvas Gallery wraps here. Our gallery canvas wraps are regular photographic prints from which we strip-off the back of the print before we press it into the canvas. This gives the printed image a full, rich texture and results in a distinctive high-quality canvas. The canvas is wrapped around stretcher bars, ready to hang, without the need for framing. 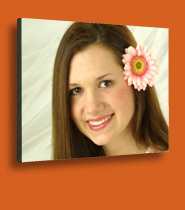 Gallery Canvas wraps are available in 8 common sizes from 8x10 up to 24x30. Choosing a Surface Finishing option not only enhances a print, but also makes it virtually impossible to scan and duplicate. This offers additional copyright protection for the photographer. Available in Linen and Pebble. Finishing sprays are an applied lacquer which offer an additional layer of protection and longevity to the print. Protecting the print from water damage or extensive UV exposure. Finishing sprays have been a standard for professional photographers for many years. Luster A cross between matte and clear producing a semi-gloss finish. Matte A flat protective finish which eliminates all glare and has no shine or gloss. Clear A glossy type finish providing maximum snap and brilliance. PhotoReflect's experienced lab technicians give the finest quality look to your finished prints. Dry Mount Board Triple-weight board, dry mounted and trimmed flush to board. Ready for framing, usually with glass front to protect from elements. Styrene 2mm thick, black core plastic-type material. Ready for framing, not as susceptible to changes in humidity and temp. 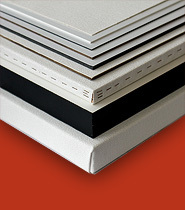 Masonite 1/8" thick, hard surface flush mount. Harder wood-type surface, very durable. Ready for framing or standing on it's own. Gatorboard 3/16" thick, foam core flush mount. Ready for framing or standing on it's own. Canvas Image is printed on canvas, not stretched or mounted. Delivered in a tube. These prints are generally stretched by the photographer and then framed. Canvas Masonite Canvas print is flush mounted on 1/8" thick hard surface. Ready for framing. Flat, stretched canvas look without the stretch. Durable and reliable. 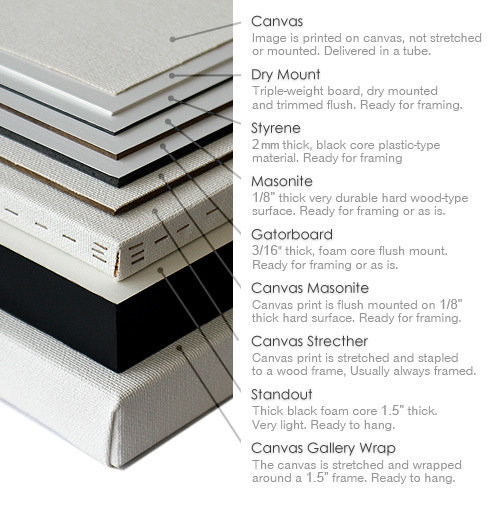 Canvas Stretcher Canvas print is stretched and stapled to a wood frame Ready for framing and typically always framed as staples can be seen from the side. Standout Mounts Thick black foam core 1.5" thick. Very light and easy to work with. Ready to hang with minimal hardware Typically stands on its own without framing. All retouching services are priced per image not per print. Our experienced retouch specialists take great care in preparing your photos. Hand Color Correction Color correction for balanced skin tones. Retouching - Single Head Soften/remove bags under eyes, soften "crows feet" around eyes and neck lines. Retouching - Multiple Heads Soften/remove bags under eyes, soften "crows feet" around eyes and neck lines applied to more than one head in the image (usually applied to 2 to 4 subjects). Stray Hair/Eye Enhancement Remove stray hairs from face and other areas. Brighten the whites of the eyes and enhance the catch light in the eyes (sharpening of the eyes). Brace Removal Remove braces and whiten the teeth. Glasses Glare Removal Remove the glare that may occur in glasses so that the eye is visible. CD Archival (per order) Saving all of your retouched service images and sent back to you on CD for your future re-ordering.